Morrisonville Depot Preservation Society, Inc.
Would you like more information about our project? Want to lend a helping hand? Do you have more information or photos of Morrisonville or the Depot that you would like us to post? Use the form at the right to provide us with your contact information. We'll get back to you as soon as we can. Comments are also welcome! 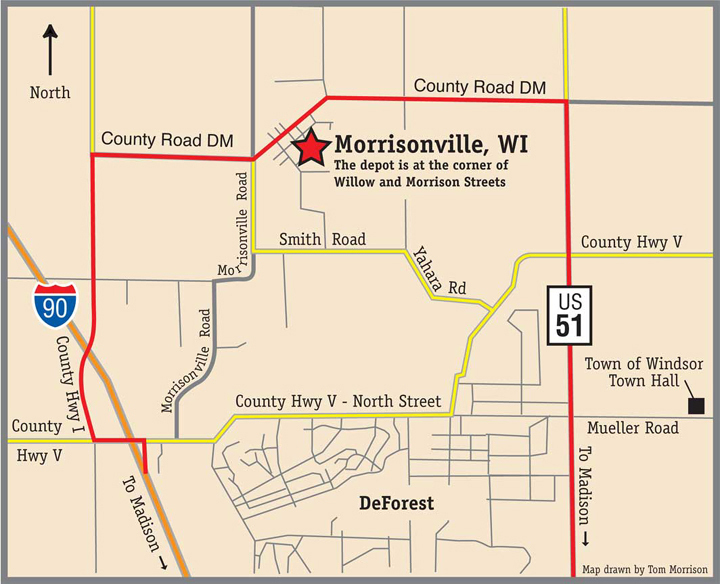 Morrisonville is about 20 minutes north of Madison, WI between Interstate 90 and US Hwy. 51. Copyright 2010 Morrisonville Depot Preservation Society, Inc.. All rights reserved.